named for the marine mammal Trichechus Latirostris, was the main avenue of transportation and communication since the first permanent settlement. All commerce, goods for the early stores, the U.S. Mail, passengers and settlers came into the county via the river; while cattle, hogs, lumber, sugar, citrus and vegetables were exported to the great Northern markets, to Cuba and New Orleans. Almost all of the early communities were founded along the river, and served as the gateway to many interior settlements. The river also served as a food source, providing oysters, fish and clams. The river has long been navigable as far as Rye, although dredging began in August, 1882, to meet transportation needs. For many years, sailboats and ferrys served as the only north-south means of crossing, until the first bridge was built in 1902 by the Seaboard Air Line R.R. Erected 1985 by Manatee County Historical Commission. can be reached from the intersection of Manatee Avenue East (State Road 64) and 14th Street East, on the right when traveling east. Touch for map. Marker is at or near this postal address: 1404 Manatee Ave, Bradenton FL 34208, United States of America. Touch for directions. Other nearby markers. At least 8 other markers are within walking distance of this marker. 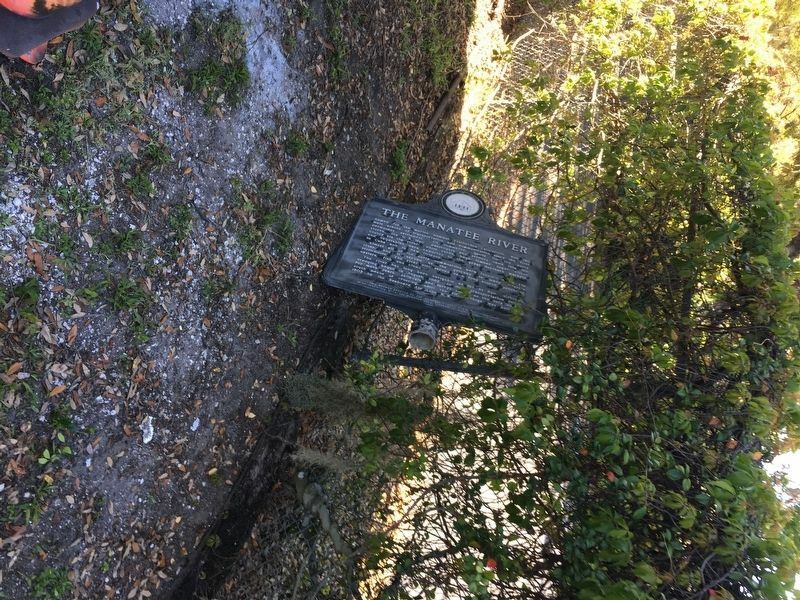 The Bunker Hill School (within shouting distance of this marker); The Potter Barn (within shouting distance of this marker); William Bassett Chapter (within shouting distance of this marker); Florida's Earliest Courthouse Building (within shouting distance of this marker); The 1887 Church (within shouting distance of this marker); The Stephens House (within shouting distance of this marker); The Smokehouse, Syrup Kettle and Sugar Cane Mill (within shouting distance of this marker); Life on the Florida Frontier: The Stephens Family (about 300 feet away, measured in a direct line). Touch for a list and map of all markers in Bradenton. More about this marker. This marker is not displayed. 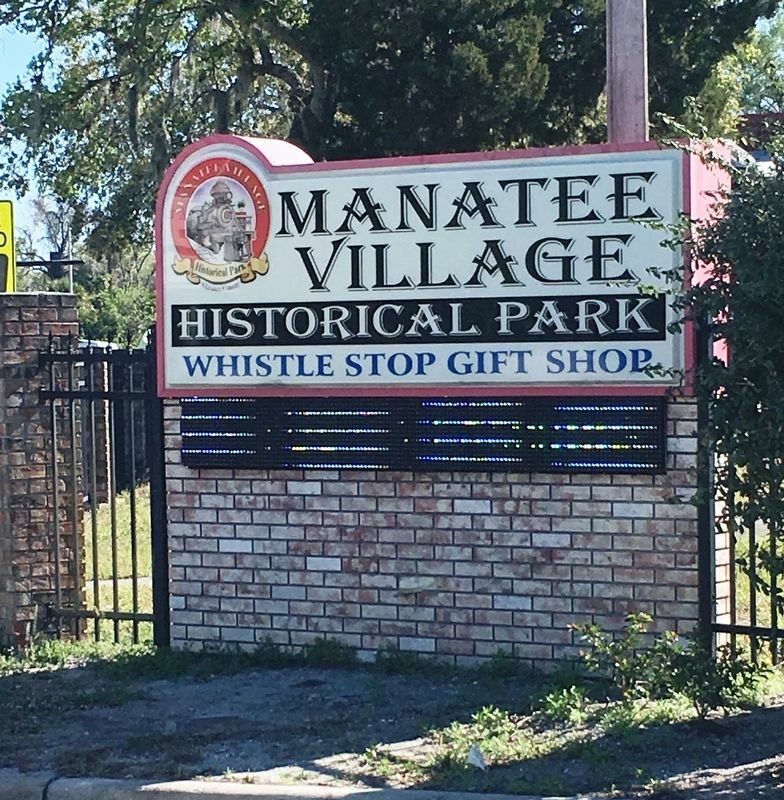 Currently, it is stored outside, behind a barn inside the Manatee Village Historical Park. Awaiting further information from the Manatee County Historical Commission. 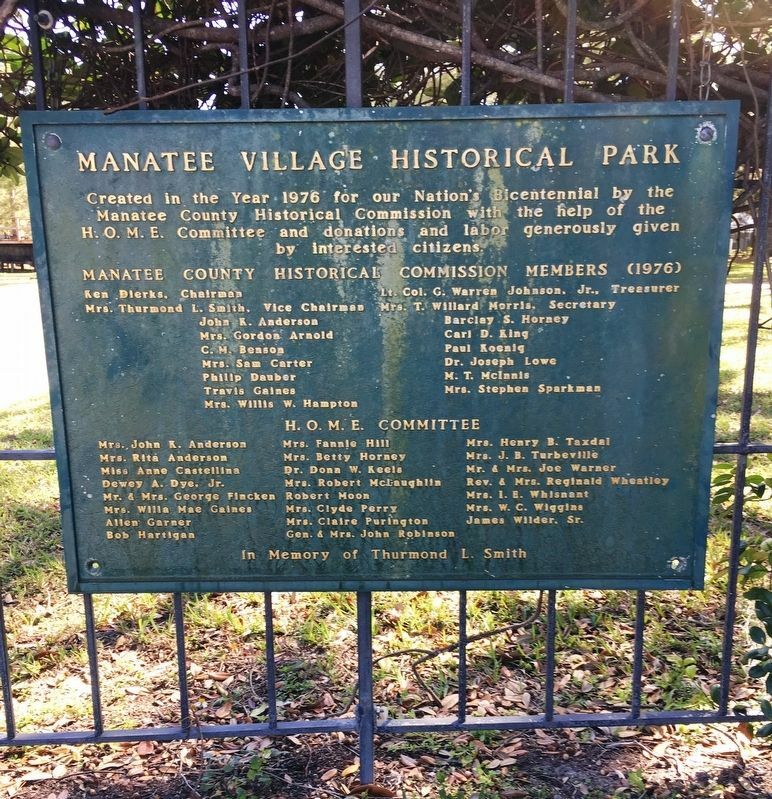 Initial response is the marker once was presented inside the Manatee Village Park. More. 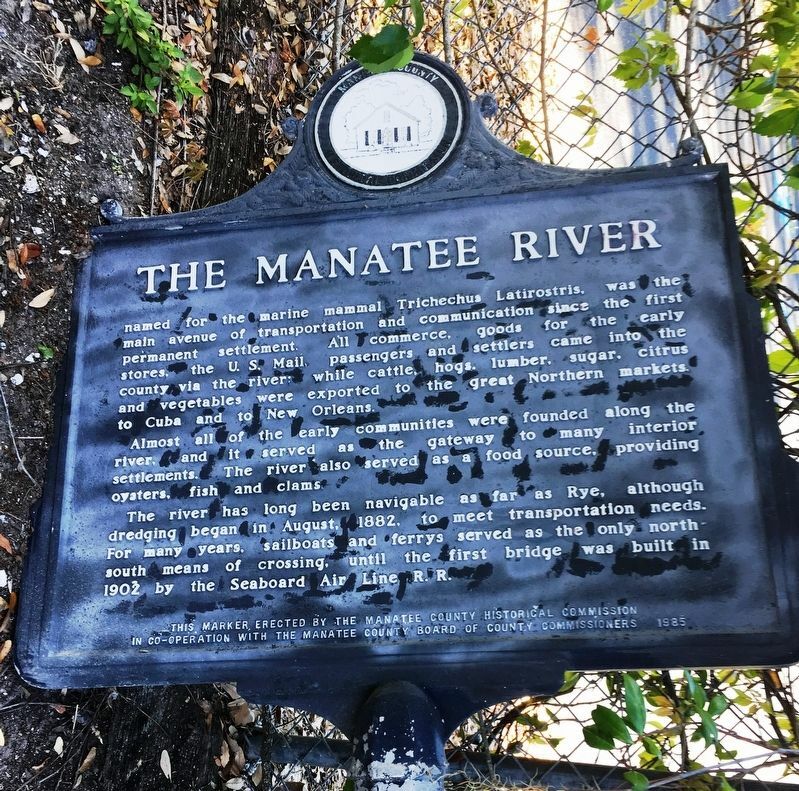 Search the internet for The Manatee River. Credits. This page was last revised on March 28, 2019. This page originally submitted on March 26, 2019, by Brandon D Cross of Flagler Beach, Florida. This page has been viewed 41 times since then. Photos: 1, 2, 3, 4. submitted on March 26, 2019, by Brandon D Cross of Flagler Beach, Florida. • Bernard Fisher was the editor who published this page.